Well-known for its Italian cuisines, people in Italy gift flowers in odd numbers & each color has a distinct meaning. Traditional flowers used by Italians for gifting are Italy are Orange -Tree Flowers, White & Violet Lilies, White, Yellow & Pink Roses. Peonia, also known as “rose without thorns”, is a traditional flower to be given to your love one in Italy. 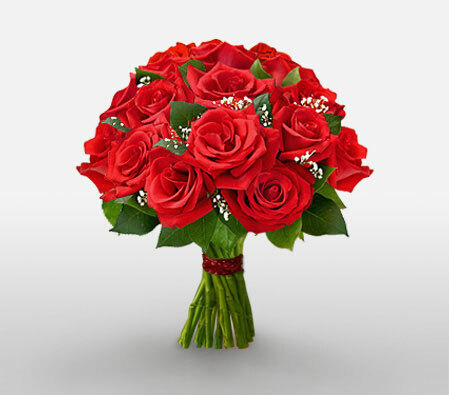 Send flowers same day to Italy using our local florists & flower shops. Order by 12 noon. Send Mother's Day Pink Roses, Lilies, Carnations & Special Gifts to Italy. Send Roses, Carnations, Lilies throughout Italy for occasions like Birthdays, Anniversaries, Funerals, etc. Enjoy affordable flower delivery across Milan, Rome, Naples, Turin & nationwide delivery. 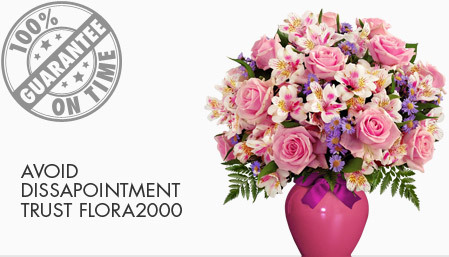 We at Flora2000 guarantee on time flower delivery and feature a beautifully illustrated avant-garde collection of exquisite arrangements, especially suited for creating unforgettable moments for your loved ones. You can send flowers to Italy as well as across Italy from Milan to Rome or Naples to Turin and gift those closest to you something truly stunning. For flower delivery to Italy just select bewitching floral ensembles from our enamoring range and delight your family and friends today. How do i send International Flower Delivery to Italy? Flora2000 has transformed International flower delivery to Italy into a fine and effortless art. With our efficient flowers & gifs delivery services worldwide; you are sure to find the perfect expression of your message to your loved ones. Be it Roses, Lilies, Carnations or Cakes, our gifts are sure to make both the sender and the receiver happy. We make sure the gifts you give reflects what you feel about the receiver. Italy is most popular country in southern Europe. It is rich in history, art and well known for its cuisine. An old European tradition involves gifting of giving flowers in odd numbers. In Italy, each color flower have distinct meaning. Presenting a gift to Italy men, it is advisable to select flowers that aren’t too fragile, in bright colors (pink, yellow, orange) and with a crown of a distinct design (like a tulip). Roses and lilies are the most meaningful flowers all over Italy. Brooches and handkerchiefs are apt options for funerals, Select a gift of wine with caution. Unless its vintage is superior, give whiskey instead. Lavender and hydrangea denotes coldness whereas sunflower represents happiness. Handpicked Unique Gift Ideas for Mom. Fresh Roses, Lilies, Carnation & Gift Hampers specially crafted for your mum. Order NOW for guaranteed delivery on Mother’s day in Italy.